Readers, back to reviewing again tonight. I’ve finally had a chance in the new kitchen to get back to baking. 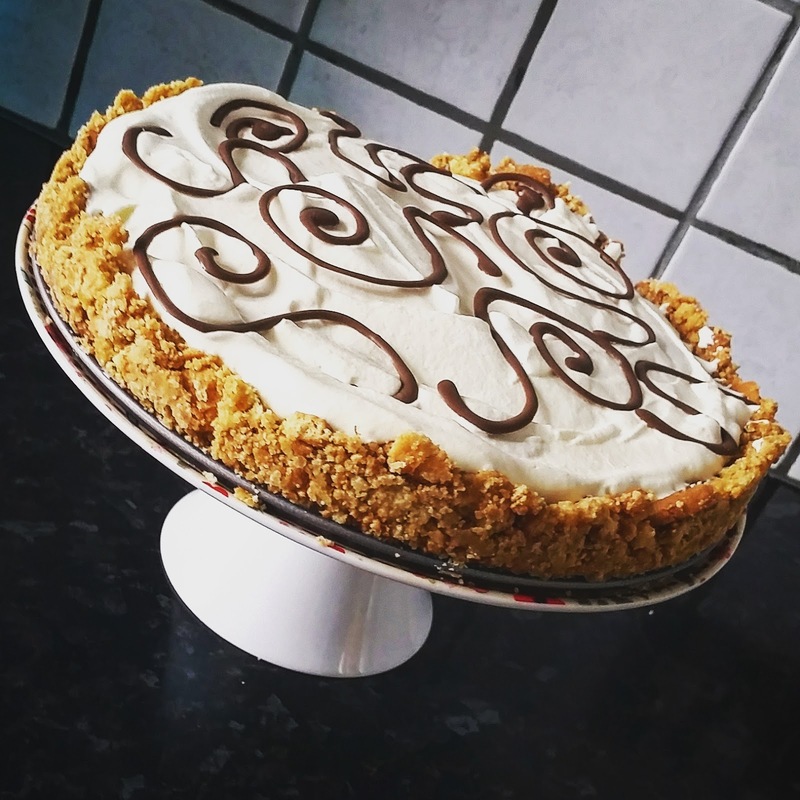 Well, sort of baking… it was more non baking, but a banoffee pie was the result of my non baking efforts, so I shouldn’t moan. We had the family over en mass today – flat project is almost complete, so we’re finally happy to show the place to people! Anyway, to the point! Cake Décor recently sent some samples to me of Choco Writers – their new cake decorating product. I hadn’t heard of them before, but when I worked out what the concept was, I wondered why I hadn’t used them sooner. 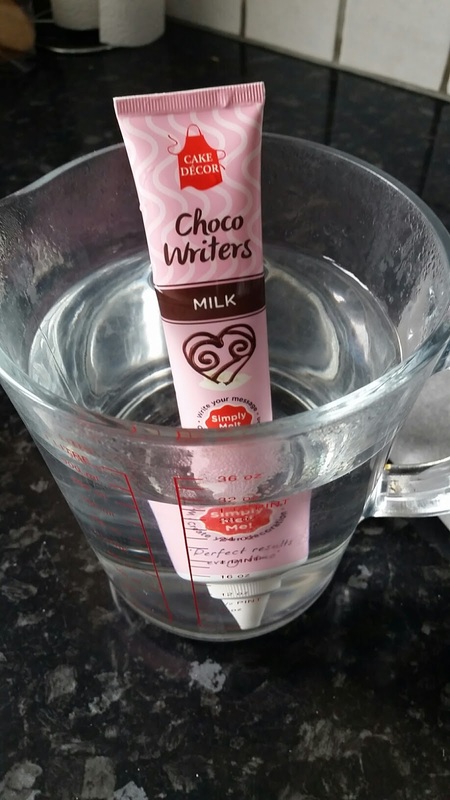 Choco writers are tubes of chocolate that you melt in a jug of boiling water for 2-3 minutes. You then snip the end off the tube and write with them – or create shapes with chocolate: whatever you want! So far, I’ve only used the milk chocolate one – but I hope the others work as successfully as this one did. 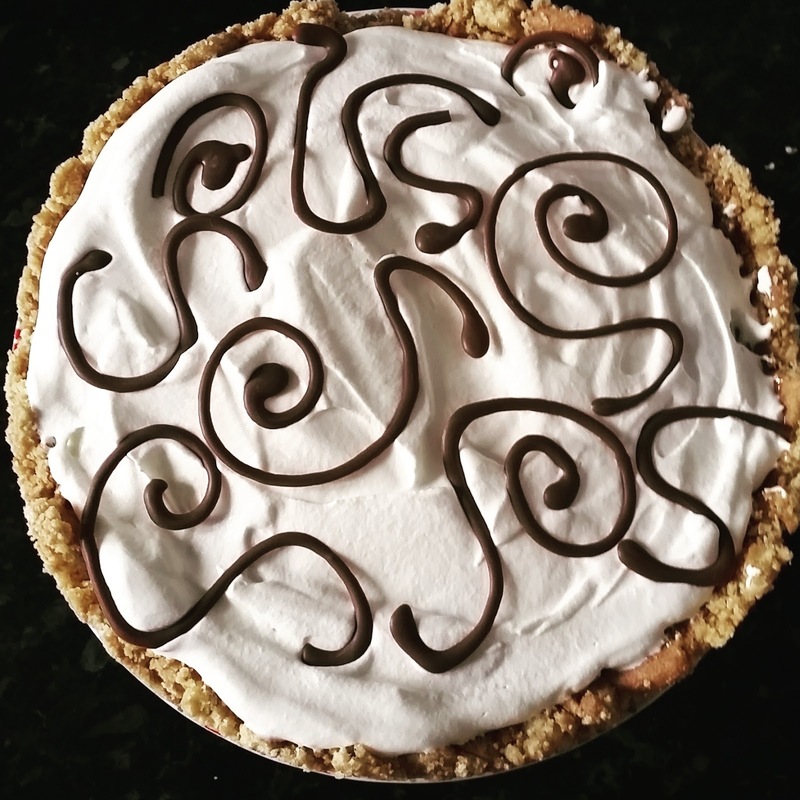 I had a slight disaster at the start – there must have been a small piece of chocolate still solid at the top of the nozzle. Nothing was happening so I squeezed hard to free it and covered my tiles in chocolate…. Decorative but not what I was hoping for. Lesson learn for next time though – squeeze downwards. So what did I use this for? I made a banoffee pie for family coming over and wanted to go for a nice topping. 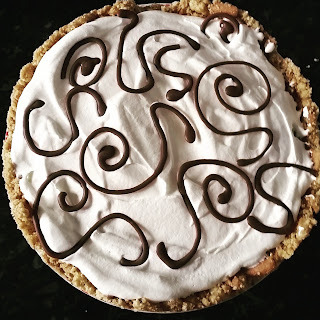 I piped some swirls onto a baking sheet, left them to set at room temperature for around half an hour, then gently peeled them off the sheet and topped my cake with the chocolate swirls. It made it look professionally finished (and was incredibly easy to do). I’d like to try these out with stencil sheets, to create cake toppers – but so far, I’ve really liked using them. I’ve always found it quite difficult to write with icing, but this would be an easy way to write a message to top a cake. If you make a mistake, you can always rewrite it on the baking paper and start again. My thoughts: these are an incredibly useful addition to a novice baker’s kitchen, as you can create professional looking designs, fairly easily. Disclaimer: I was sent samples of Choco Writers to test and review. Any opinions expressed are my own.